Jack's Lego 'Everyman' steals the show! 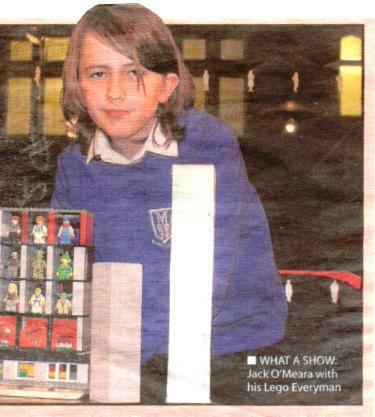 Jack O'Meara from 6B built the new Everyman Theatre out of Lego and was one of many Liverpool buildings and landmarks built by children across the school. These buildings featured in our school's World War I remembrance video project where puppets can be seen walking through miniatured streets of Liverpool. 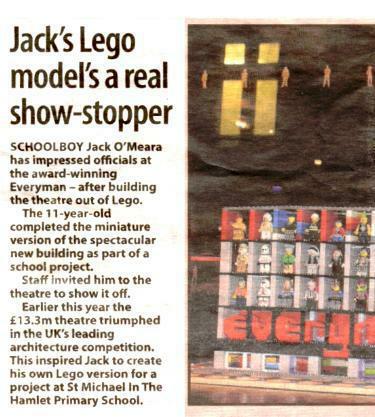 Jack showed his Lego Everyman at the theatre and a piece in the Liverpool Echo can be seen below. Well done Jack!